Andrew and Brandy Ladd aren’t fishing for compliments when it comes to the foundation the couple created, the one that continues to make a difference in countless peoples’ lives. A two-time Stanley Cup winner, known for his leadership and respect among teammates and opponents alike, Andrew has been involved in numerous charitable causes over his NHL career, including through the Ladd Foundation, established in 2016. “My one adopted brother has fetal alcohol syndrome and the other has numerous physical and mental disabilities,” offered Andrew, the former Winnipeg Jets and Atlanta Thrashers captain who is a staunch supporter of disadvantaged children and a strong advocate for the Special Olympics. “My uncle had Down syndrome. Having grown up in a household with physically and mentally disabled people, you realize the obstacles they had to overcome and the support that they needed to have opportunities like others have. From July 31-August 3, hockey fans will have the chance to participate in a fishing fundraiser hosted by The Ladd Foundation. It features two days of angling, fine dining, accommodations and the chance to rub elbows with NHL players. 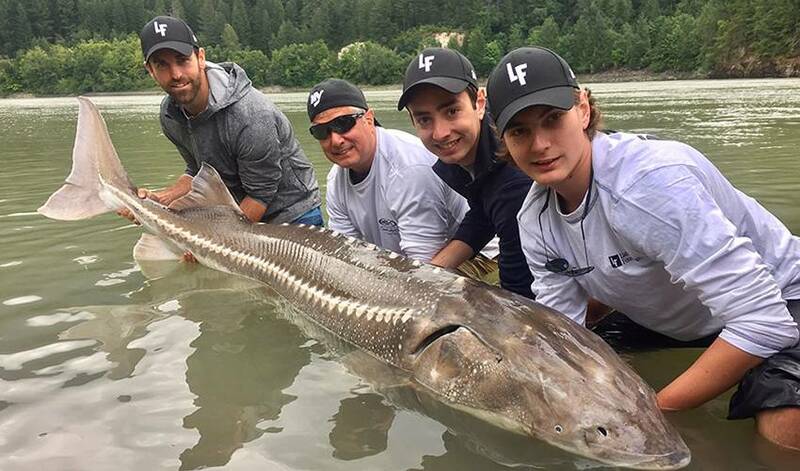 Proceeds from the second annual sturgeon fishing charity event will go to the Canadian Mental Health Association (Calgary) and the Fraser River Sturgeon Conservation Society in British Columbia. “They are doing some very innovative things in Calgary and have a really cool space created there for people who are struggling with mental health issues,” said Andrew. “Mental health is a big issue for so many people. It seems like everyone you know is aware of someone that is dealing with it in some sort of way. We just want to show our support for a very worthy cause. Some of the fellow players participating alongside Ladd in this this year event include Blake Wheeler, Tyler Myers and Nick Leddy. The veteran of 920 regular season NHL games is looking forward to getting out on the water. For more on The Ladd Foundation, visit laddfoundation.org.